Middle Tennessee (4-17, 1-6 C-USA) was hoping to break a six-game losing streak Friday night taking on the University of Texas at San Antonio Roadrunners (13-4, 4-1 C-USA). 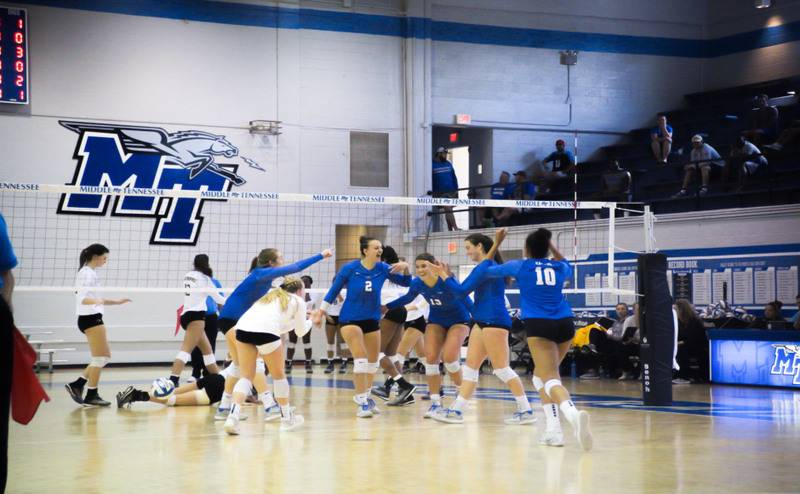 MTSU fought hard all game inside the historic Alumni Memorial Gym, but eventually 3-1. MTSU came out firing in the second set, going up by 10 at one point. UTSA would answer and score three straight to make it 24-19. MT would stand strong and score the match point for the set two 25-19 win. UTSA started the third set 7-2 before MTSU’s Delaney Gallagher would record back-to-back kills. 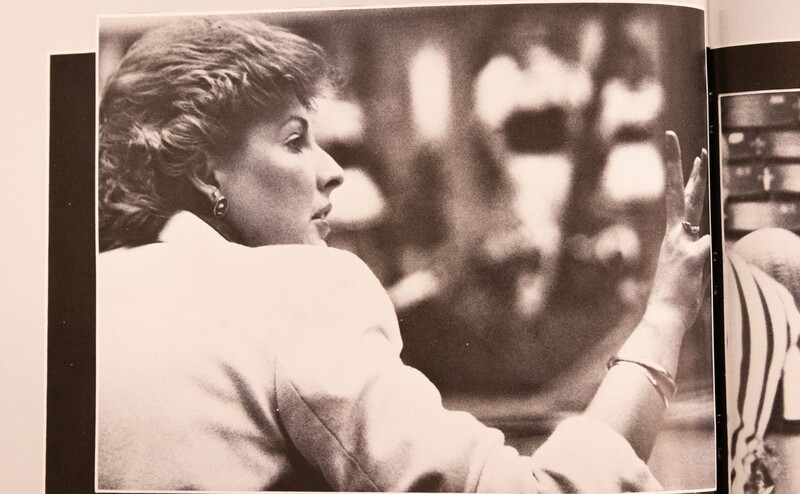 Even with a Bailey Mason ace, the Raiders could never get a run started. 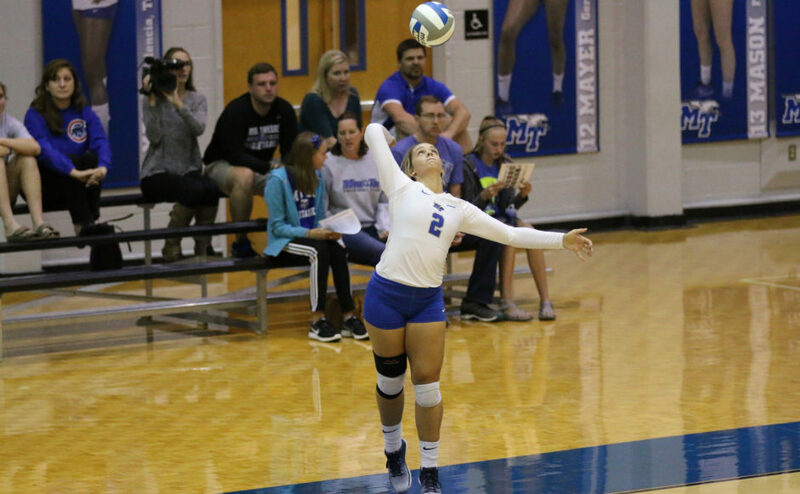 The deficit proved to be too much for MTSU, dropping the third set by a score of 25-13. 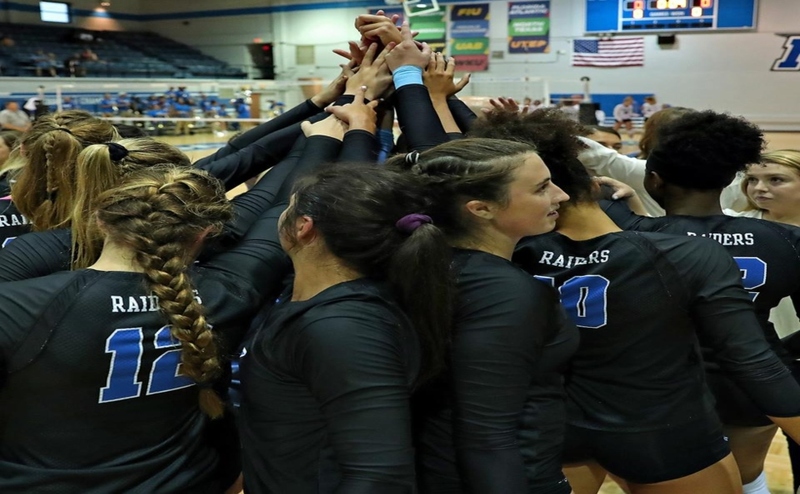 The fourth set was a must win for the Blue Raiders. Starting with a 5-2 Roadrunners lead, a double-block by Regan Coughlin and Aubrie Huddleston, in addition to a Roadrunner error lowered the Raiders deficit by only one point. However, the Roadrunners would push through, winning the set 25-11 and taking the match by a score of 3-1. MT was led by Regan Coughlin with ten kills, six digs. and a season-high five blocks. Bailey Mason also chipped in six kills, six digs. three blocks. With the loss, UTSA now leads the all-time series over the Blue Raiders 4-3. Middle Tennessee will return to action on Sunday when they travel to take on Charlotte at 12 p.m. The team returns to Murfreesboro next Wednesday for a three-game homestead beginning with in-state rival Austin Peay in the annual Dig Pink Night.